What's the difference between naturopathic medicine and conventional western medicine? Both offer primary health care and require similar educational training. The major differences are in the philosophical approach and therapeutic methods. Instead of conventional medicine's use of surgery and pharmaceutical drugs, naturopathic medicine promotes the body's self-healing using therapies such as clinical nutrition, botanical medicine, Chinese medicine (acupuncture, food therapy, herbs), lifestyle counselling, and much more. In other words, naturopathic medicine can benefit EVERYONE. Naturopath Doctors (NDs) are primary health-care providers who integrate standard medical diagnostics with a broad range of natural therapies. Similar to regular medical doctors, NDs require 3-4 years of pre-med post-secondary education, plus 4 years of full-time study at an approved school of naturopathic medicine. Following completion of their program, NDs must successfully complete standard national exams in order to qualify for licensing in regulated provinces. Is naturopathic medicine covered by health insurance plans? MOST extended health benefit plans through employment in Canada provide some coverage for naturopathic treatments. Currently, naturopathic medicine is not covered by Alberta Health Care. Please contact your insurance company for information on your plan. Yes! Your naturopathic visits can be billed directly to most major extended health insurance plans. Some companies included are: Sunlife, Great West Life, Green Shield, Manulife, and more. Please contact your insurance company for further details regarding individual plans. What is the benefit of using supplements from a professional company? Nutritional herbal supplements may be prescribed by your naturopathic doctor. They are widely available across Canada but vary greatly in quality and safety. Choosing professional products ensures you're getting high quality products that have been extensively researched, developed and tested for safety and effectiveness. 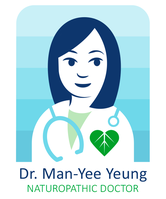 For your convenience, Dr. Yeung carries only professional brand supplements to help you achieve your health goals.